With a love for desserts and a passion to preserve their authenticity, Mr. José Hachem entered the manufacturing sector in 1968 by opening the first Meptico factory and launched its signature custard powder, corn flour, and jellies among others. Thanks to its ambitious founder and his entrepreneurial spirit, Meptico started expanding its production line to include baking aids, cake mixes, powder drinks and sauces to reach 100 items and more. To cater to a bigger market while maintaining the high quality and standards that Mr. José is so keen about, the expansion came with a profound restructuring in order to welcome the imported raw materials and state-of-the-art machinery that he traveled the world to bring. Meptico, which has been a family business for 4 decades, started gaining the love of the Lebanese consumer and soon became the best-selling company in its field. 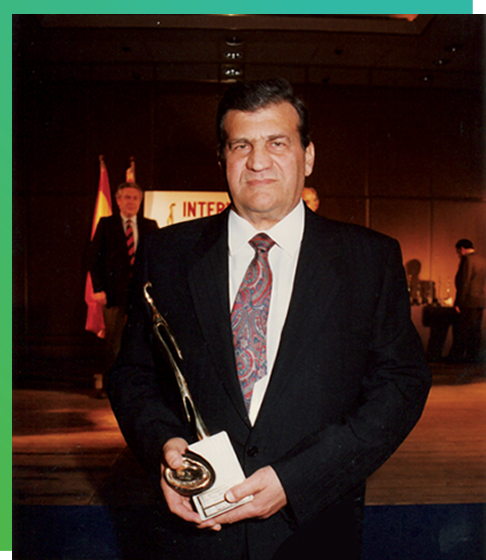 In 2005, Mr. José Hachem passed away, leaving his children carry the torch from Lebanon to the world, along with more than 200 devoted employees who are part of this passionate family dedicated to bring quality foods to millions of people every day.